Food waste is already a hot topic in its own right. But with mounting concerns about our ability to feed the world’s growing population (expected to exceed 9 billion by 2050), cutting down on food waste is a big concern for experts in global food security. Wasted food is a major problem worldwide: In a 2011 report, the United Nations’ Food and Agriculture Organization (FAO) estimated that, in 2007, about 1.6 billion tons of food were wasted. For comparison, about 6 billion tons of food were produced globally that year. But an aspect of the food-waste issue that has perhaps received less attention is its contribution to global greenhouse-gas emissions. In the same report, the FAO estimated that in 2007, the global carbon footprint of all of this wasted food was about 3.3 billion tons of carbon-dioxide equivalents — that’s 7 percent of all global emissions. To put that into perspective, this is more carbon than most countries emit in a year. In fact, only China and the United States exceeded this amount in nationwide carbon emissions that year. This estimate includes the carbon footprints of all the work that goes into producing this uneaten food — all of the energy that goes into maintaining a farm and producing the food, as well as the emissions that come from soil and livestock. The estimate doesn’t include the carbon emissions that result from converting land for agricultural use or the greenhouse gases that would be emitted by wasted food in landfills. Accounting for those would drive the numbers even higher. A massive amount of needlessly emitted carbon is poured into the atmosphere to produce unused food. These wasted carbon emissions could be prevented if we made sure that no more food was produced than was going to actually be used. “The first step is really figuring out what is the right amount that we need to produce,” said Emily Broad Leib, director of the Harvard Food Law and Policy Clinic and an assistant clinical professor of law. Much of the food that goes to waste could be used by people who aren’t getting enough to eat. But it’s also likely that we could stand to reduce our overall production as well, cutting some of those emissions entirely. “I do think there’s a sweet spot, and we’re not hitting it right now,” Broad Leib said. Fortunately, cutting down on food waste is a campaign that’s been gaining traction recently. In France, for instance, a new law bans supermarkets from throwing out unsold food, requiring them to donate it instead. A similar bill, which proposes targets for manufacturers and distributors to reduce certain food waste, is awaiting its fate in Britain’s Parliament. The bill, introduced in September, was meant to have a second reading earlier this month, but it was placed too far down on the agenda to make it to debate, a situation that some have suggested reflects the government’s apathy toward the bill. Meanwhile, no such federal laws exist in the United States, although last year the Obama administration announced a new goal of cutting national food waste in half by 2030. That said, some states are working to address the issue with their own legislation. A proposed bill in California, for instance, would change the wording on the expiration dates on packaged food to prevent consumers from throwing away products that are still safe to eat. The bill suggests a “best by” label to indicate when a food will be at its best quality and an “expires on” label only for highly perishable foods that would be truly unsafe to eat after a certain date. These are helpful types of legislation — but research suggests that we also need to be addressing waste on the production side. The FAO points out that food waste occurs at all stages of the supply chain, but the biggest culprit is agricultural production, which accounts for about a third of all food lost. The FAO published its own set of tips for reducing waste along the supply chain, noting that better resource allocation and improved technology could be instrumental in preventing food waste during the harvesting and processing phases of food production. Other experts think that focusing on specific kinds of improvements all along the supply chain can help reduce food waste in ways that are specifically designed to cut down on carbon emissions and help the climate. A group of businesses, nonprofits and other organizations known as ReFED recently published a report titled “The Roadmap to Reduce U.S. Food Waste by 20 Percent,” which includes a variety of strategies for cutting down on food waste. The report includes an interactive tool that indicates the best policy changes for food-waste reduction depending on the desired end goal — saving money or recovering meals, for instance. Broad Leib, who serves on ReFED’s advisory council, noted that standardizing labeling on packaged food is also a key way to help people cut down on the amount of food wasted. And, in fact, date labeling is cited by the analysis as the fourth most important strategy when it comes to cutting down food-waste-related emissions, capable of cutting out nearly 1.6 million tons of wasted greenhouse-gas emissions per year. Cumulatively, the report suggests that implementing these strategies and cutting food waste across the country by 20 percent could save up to 18 million tons of greenhouse-gas emissions annually. Altogether, the collective research on food waste and greenhouse gases provides a sobering reality check, one that is slowly gaining mainstream attention. And as more strategies emerge for addressing the food-waste problem, we may have a chance to tackle climate change in yet another way — this time, one plate at a time. Written by Anthony Parel, Northeastern University Class of 2016, and Winter 2016 Health Law and Policy Intern. Images courtesy of AIDSUnited. Last month, I stepped into a room where idealism could transform into realism through the voices of the strong and battle-tested. It was in this room where individuals from all across the United States gathered in Washington D.C. for the AIDSWatch conference. 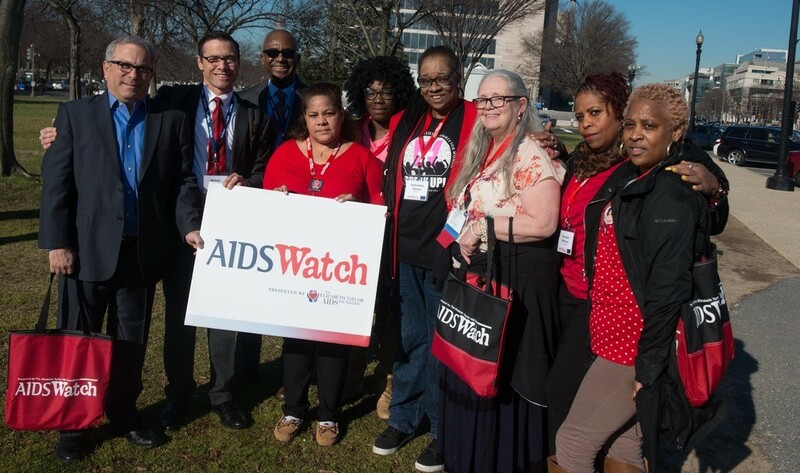 AIDSWatch is a HIV/AIDS advocacy event that the Center of Health Law and Policy Innovation, AIDSUnited, and the U.S. People Living with HIV Caucus hosts annually. This gathering convenes people living with HIV and their allies to educate Congressional members and their staff on current issues related to HIV/AIDS. Though distinct in experience and diverse in locality, our message was one and the same – we are here, we have a voice, and we will be heard. February 29th was the first day of AIDSWatch and it was a day of mixed emotions. Personal stories were shared that helped me visualize the everyday struggles of the people living with HIV/AIDS. When midday came around, everyone separated into his or her respective state delegations to confirm scheduled hill visits. We organized into groups to meet with congressional health staffers and inform them about issues pertaining to HIV/AIDS specific to our state. Following our state lunch, the conference broke out into networking sessions. The 30 for 30 Campaign networking session, which focused on women living with HIV, was the meeting that particularly struck a chord with me. This session shed light on the specific problems that women living with HIV face when compared to men. I previously did not know a lot of the data provided. After an eventful first day, we finally separated into our respective state delegations. It was time to share this message with the Senators and Representatives. We went into the Capitol in the early hours of March 1st. We were visible as we walked up Constitution and Independence Avenue wearing red, the color of the red ribbon used to symbolize HIV. Our first meeting was with Senator Elizabeth Warren’s health staffer to discuss the importance of HIV/AIDS funding, HIV criminalization, and stable housing for those with the virus. The meeting went very well and I was surprised to see how knowledgeable the staffer was on current issues that the HIV/AIDS community face. The experience of being on Capitol Hill was one I will not soon forget. This was not my first time in D.C, but it was the first time I went with a new family. Despite being young and inexperienced, the advocates at AIDSWatch welcomed me with open arms and I quickly realized that it was no longer “me,” it was “we.” We were all allies – lesbian, gay, straight, bisexual, transgender, cis-gender, black, white, Hispanic, or Asian – our diversity at AIDSWatch mirrors the impact of AIDS on humanity. The stories shared throughout the conference gave credence to the idea that despite our differences in age, income, and ability we stand as one coalition united in the fight to eradicate AIDS. AIDS United’s AIDSWatch Recap blog here. Barb Cardell’s Why AIDSWatch? blog here. A March 30, 2016, article from Minnesota’s Star Tribune features an interview with CHLPI’s Carmel Shachar on high costs for AIDS medications. “Advocates decry insurer charges for AIDS drugs in Minnesota” examines the worrisome trend of health insurance providers categorizing certain medications, such as those for HIV/AIDS and Hepatitis C, on the highest, and most expensive for consumers, cost-sharing tiers. “In a report provided this month to the Star Tribune, researchers from Harvard Law School and the Minnesota AIDS Project highlight health plan options on the state’s MNsure exchange that feature high degrees of ‘cost-sharing’ for medications used by people with HIV. The report, which also looked at hepatitis C medications, is one of the latest to examine how health insurers in different states are covering HIV treatments on new government-run insurance exchanges. Over the past decade, the field of Food Law and Policy has grown by leaps and bounds in law schools across the country. On a variety of metrics, the field is strong and growing, with more than 20 of the top 100 law schools offering courses in the field, and 30 clinics at 23 schools conducting related clinical work. But until now, Food Law and Policy has had no dedicated academic association to serve as a forum for individuals and institutions involved in its teaching and scholarship. The Academy of Food Law and Policy (AFLP) is a newly-formed academic organization created to address this need. AFLP’s founding Board of Trustees includes Emily Broad Leib, Harvard Law School; Peter Barton Hutt, Covington and Burling (Adjunct Faculty, Harvard Law School); Neil Hamilton, Drake University Law School; Baylen Linnekin, Adjunct Faculty, George Mason Law School; Michael Roberts, UCLA School of Law; Susan Schneider, University of Arkansas School of Law; and Margaret Sova McCabe, University of New Hampshire School of Law. Founding institutional members include Harvard Law School, UCLA School of Law, University of Arkansas School of Law, and Drake Law School. “As the first food law and policy clinic in the U.S., the Harvard Food Law and Policy Clinic has great interest in supporting other faculty and law schools in entering the field of food law and policy. I have worked with the other members of the Board of Trustees to establish the Academy of Food Law and Policy in order to provide a space for sharing ideas, knowledge and research, and nurturing social exchange among food law and policy colleagues. I look forward to working with the Board and members to build this into a vibrant organization that serves the needs of the growing community of food law and policy faculty and programs.” – Emily Broad Leib, Director of the Harvard Food Law and Policy Clinic and Founding Member of the Academy of Food Law and Policy. Foster the next generation of food law and policy leaders. The Academy will support local, regional, national, and international collaboration among scholars, professors, and clinicians via workshops, shared resources and materials, and promotion of teaching and engagement in Food Law & Policy issues. By building a strong network, the AFLP will provide a space for sharing ideas, knowledge, and research. Providing evidence for faculty to share with their schools that this field of law is legitimate and growing. Working together, law schools and scholars can continue to grow the field of Food Law and Policy through the creation of new courses, publications, centers, programs, and additional opportunities for student engagement and education about the laws and policies impacting our food. The AFLP will help fulfill these ambitions through collaboration and mutual enrichment of its members. Further information on the Academy of Food Law and Policy can be found at www.AcademyFLP.org. This blog is cross-posted from the Harvard Law School Office of Clinical and Pro Bono Programs blog. I became interested in the Health Law and Policy Clinic after solidifying my summer employment working with the General Counsel of Planned Parenthood Affiliates of California (PPAC). Unlike the Center for Reproductive Rights (CRR), where I worked as the organization’s U.S. Policy and Advocacy Analyst last summer, PPAC focuses on the legal issues affecting their seven clinics in California in the moment and on the ground. Though I had a firm grasp on reproductive legal and policy strategies thanks to CRR, I was forewarned by PPAC that I would need to know more about barriers to healthcare access, public health concerns, and health disparities writ large. The clinic seemed like the perfect way to learn about these issues while cultivating a useful skillset for my summertime employment. In the first couple of weeks, I immersed myself into the world of health policy reform by taking a few projects with a tight turnaround time. Along with Lauren Kuhlik (J.D., MPH ’17), I assisted in drafting a Supreme Court amicus brief re. Zubik v. Burwell, a follow-up to the Hobby Lobby decision. I also traveled to New York to visit a cancer center and assisted in launching their nonprofit lung cancer screening initiative for upper Manhattan. The excitement of the first few weeks has set the pace for the weeks to follow. Working in the Health Law and Policy Clinic has given me exposure to a variety of public health topics, from HIV and hepatitis C, to specialty care access, to psychosocial determinants of health. The issues vary just as much as the policy tools used to address them. In one month’s time, I have drafted a policy roadmap for a community-based health organization, a preliminary injunction against a state Medicaid agency, a Supreme Court amicus brief, and an administrative complaint to the Office of Civil Rights. I have engaged in thorough legal analysis and research for all of my projects, using a wide swath of sources to evaluate case law, market statistics, and other indicators of health law and regulations as implemented in a post-Affordable Care Act landscape. I would highly recommend this clinic to any Harvard Law student interested in becoming well-versed in a variety of legal and policy strategies, whether or not they are considering a career in health law. I would venture to say that I learned more in the few weeks working in the clinic than I had learned in my entire law school career thus far. My supervisors have provided constructive and crucial guidance every step of the way, and have gone out of their way to show how much our work is appreciated. For example, when Professor Robert Greenwald and Clinical Instructor Carmel Shachar learned that they couldn’t put our names on the Zubik amicus brief, they contacted Dean Martha Minow to acknowledge our hard work and praise us on a job well done. While deeply invested in achieving impactful policy changes, the Health Law and Policy Clinic is equally invested in the cultivation of future policy advocates. Thanks to the clinic’s culture of mentorship, I feel competent and confident in my ability to produce meaningful work products this summer and for the years to come. Assembly Member David Chiu of San Francisco recently introduced a groundbreaking bill to standardize date labels across food products in California. The Food Law and Policy Clinic (FLPC) enthusiastically supports bill AB 2725, which addresses key policy changes recommended by FLPC and will bring much-needed uniformity and clarity to California’s date labeling system. The United States is experiencing a food waste crisis. Food waste has been on the rise since the 1970s, with per capita food waste increasing by 50% since 1974. Today, that amounts to 40% of the food produced in the United States going uneaten, equaling 160 billion pounds of wasted food. Food waste is also a huge problem on the state level, especially in California. In California, 5.5 million tons of food ends up in the landfill, making food one of the main contributors to municipal solid waste in that State. This wasted food releases more than 8.3 million tons of greenhouse gases, contributing to 20 percent of California’s methane emissions. Confusion over the meaning of date labels is a great contributor to this food waste. Surveys show that 91% of consumers reporting they throw away food when the date on the label arrives. This is despite the fact that the vast majority of date labels are meant to indicate when a food is at its peak quality and bear no relation to food safety. AB 2725 seeks to reduce consumer confusion surrounding date labels and food safety, and the unnecessary food waste that results from this confusion. The bill will standardize date labels through the use of a dual label system, which would provide clarity by reducing the available labeling language to two phrases: one quality date indicator and one safety date indicator­. Regarding quality dates used on the majority of food products, the legislation would allow manufacturers to include a date indicating a food product’s quality, as long as the date is indicated by the standard phrase “best if used by.” Because quality is subjective, the use of a quality date would be optional, but if used would be required to utilize that standard phrase. A safety date, indicated by the standard language “expires on,” would be required on a small group of foods that are identified by the California Department of Public Health as being ready-to-eat foods that have a high level of risk associated with consumption after a specified date, such as deli meats or unpasteurized cheeses. This system will allow consumers to clearly differentiate between dates related to quality and those that indicate safety concerns, allowing consumers to make better decisions for their wallets and their health. This groundbreaking legislation would help bring California in line with most other countries that standardize date labels, and would address the key challenges and goals FLPC has advocated over the past several years. In our report The Dating Game: How Confusing Food Date Labels Lead to Food Waste in America (published with the Natural Resources Defense Council), we revealed that there are virtually no federal regulations for expiration date, with the exception of infant formula, and as a result states enforce a variety of inconsistent laws and consumers everywhere are confused. AB 2725 can make a big difference in limiting the amount of food waste in California and provides a great model for other states and the federal government for how standardized date labeling can reduce confusion, wasted consumer money, and wasted food. FLPC worked with advocates and government officials on this exciting piece of legislation, and is pleased to support this bill, which will bring much-needed clarity and science to California’s date labeling system and hopefully provide inspiration for others to follow suit in the near future. The Food Law and Policy Clinic is renowned for its groundbreaking work on a variety of issues, including a report it released with the Natural Resources Defense Council on the staggering amount of food we waste in the United States. As someone who has been interested in food since college—and in the countless ways it affects both body and mind and our natural world—the Clinic was on my radar even before I chose to attend Harvard Law School. During my time in the Clinic, I was fortunate to have the opportunity to work on two projects that mirrored perfectly my deepest food policy concerns: the ways in which our food system affects, or disserves, society’s most vulnerable; and how our food production practices affect, or destroy, the environment. First, I worked with an attorney and fellow student to draft a letter to federal legislators on what standards should govern what millions of children, particularly low-income children, eat for their school meals. That letter ultimately became a Clinic policy brief, which “urges Congress to continue progress towards making nutritious, healthy, and delicious school meals available to all children.” Second, I analyzed novel ways in which the tort system could be used to deter the overuse of antibiotics in animal agriculture, a practice that has been linked to the antibiotic resistance crisis that threatens the future of modern medicine. My projects not only developed my research and writing skills, but enlightened me as to different ways in which to research and write. Contacting and conference calling with a variety of different stakeholders in the legislative process taught me perspectives that I wouldn’t find in a case book. The need to use creativity and analogy to craft arguments at the frontiers of existing legal doctrine sharpened my intellect in a manner unlike a traditional law school class. And I have hope that the efforts of the Clinic will concretely affect food policy—perhaps, for example, through persuasion of lawmakers who will determine what millions of children will be eating during school. The Clinic also broadened my horizons at Harvard Law School: It led directly to my participation as president of the Harvard Food Law Society. The Clinic sharpened my knowledge of American food law and policy and prepared me to lead an organization that, primarily through educational talks and its annual conference, seeks to advance food justice in our community and society. To assist community members in opening up new spaces for exercise and recreation, CHLPI created the Massachusetts Community Use Toolkit: Helping Kids and Communities Be Healthy and Active. Launched at the Franklin County training, the Toolkit is a step-by-step guide to creating and implementing community use initiatives, from identifying appropriate spaces to managing risk to finding funds. It contains sample documents, such as checklists, budgets, and Community Use Agreement templates, that readers can adapt to the unique needs and circumstances of their own towns and neighborhoods. 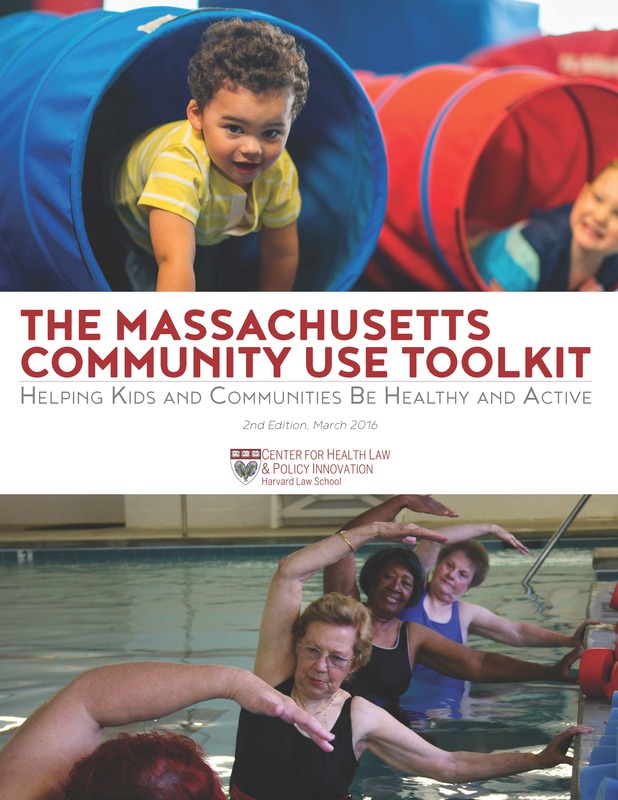 Over the next year, CHLPI will continue to promote community use through dissemination of the Toolkit and provision of targeted technical assistance throughout Massachusetts. One of the U.K.’s — and the world’s — biggest grocery store chains announced big news on the food waste front this month. In the coming months, Tesco, which boasts some 6,800 stores worldwide but is headquartered in England, will expand its 14-store trial run of an initiative that saved the equivalent of 50,000 meals worth of food from heading to a landfill, donating that food, instead, to charity groups…Emily Broad Leib, director of Harvard Law School’s Food Law and Policy Clinic, says that is because the U.S. has arrived at the issue later than countries like France and the U.K., where efforts to address the issue have gotten a significant head start on the U.S. and are, just now, coming to fruition. Still, Leib noted, Americans are making significant progress. “I do think it’s on the radar of more and more stores,” Leib told The Huffington Post.